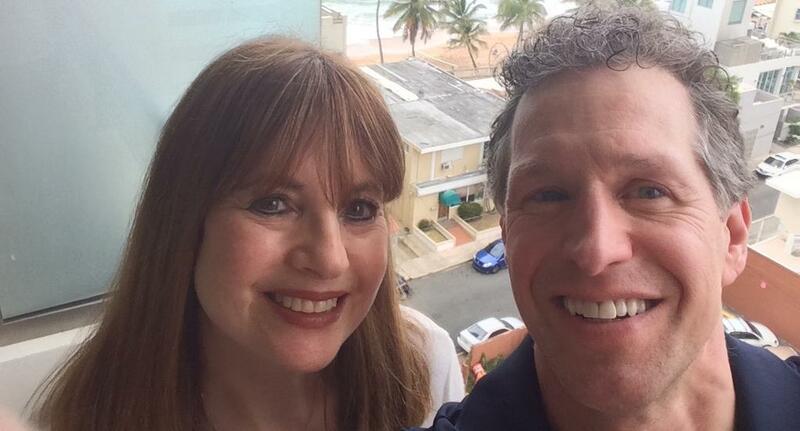 We were heading out to spend the day exploring Old San Juan. Our first stop was the hotel information desk to ask for a map and bus schedule. “It’s going to be a very hot day,” warned the amiable concierge, as she handed us bottles of water and a little travel kit that included sunscreen and sun-protection chapped stick. It was that friendly service and attention to detail that made us feel welcome during our two-day stay at La Concha Resort, part of the Marriott’s Renaissance chain. We had tacked on two days at La Concha before we caught up with friends for a seven-night celebration cruise aboard the Celebrity Summit leaving from San Juan. My husband, David, and I were celebrating our 25th anniversary and our friends Lauren and Michael were marking their 30th anniversary and Lauren’s 60th birthday. Our La Concha stay was the perfect start to what was a magical week. Aptly depicting the “Latino Chic” lifestyle, the resort pleased our aesthetic with its retro urban styling. 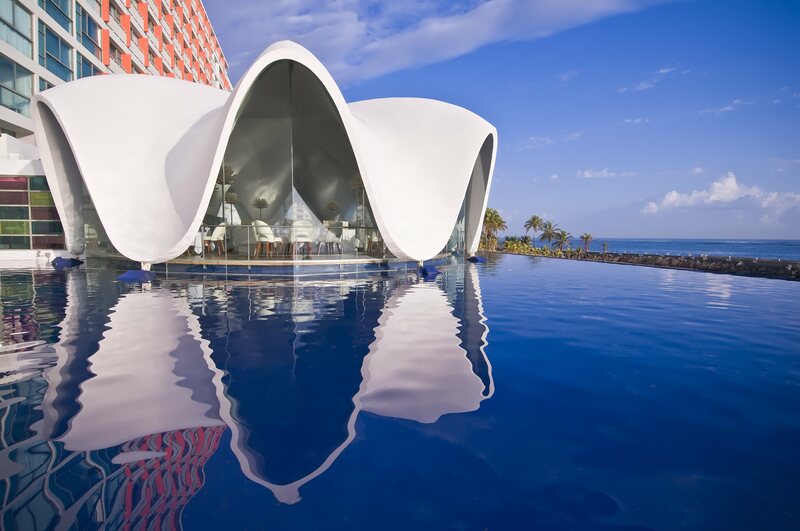 But please don’t get the wrong idea that the atmosphere is frenetic — If anything, beneath the slick, modern exterior the resort is a true retreat with cozy, spa-like accommodations. 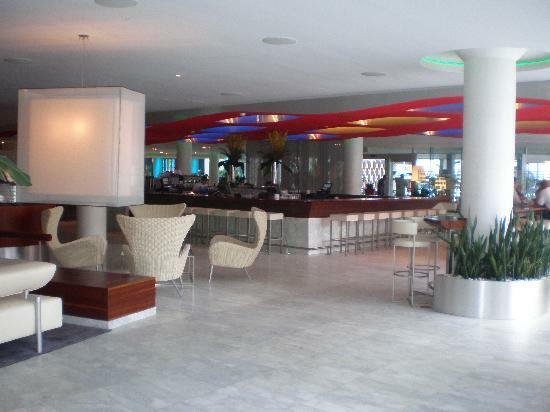 Its beachfront location in the tony Condado district is convenient to shops, restaurants and markets. An added benefit is the bus to Old San Juan stops right in front of the hotel — and for 75 cents each way, the mode of travel is quite a bargain. The original 1958 building underwent a $220 million renovation beginning in 2008 that now combines a retro feel with very modern amenities such as specialty restaurants and a state-of-the-art casino. In 2010, the property unveiled a new Suite Tower, with 235 one-bedroom, two-bedroom, and studio suites. Right from the start, our travel weary moods perked up when we stepped into the sun-drenched lobby. Evoking feelings of a tropical paradise, the décor is a mix of Calacatta marble and white contemporary furniture. The space flows organically, opening up to pools, casino and dining areas. It was the intention of interior designer Jorge Rossello to create seamless transitions between inside and outside spaces, and it works in spades. In fact, guests never need to leave the area. It is easy to spend the entire day people watching from the expansive lobby or shuttling back and forth to the bar, restaurants and pool … and of course the casino at night. At its center, the lobby boasts a chic, yet casual bar area that when we first arrived beckoned us with the promise of a cool mojito. Why not? We were on vacation after all. So we gave into the impulse and took a welcome detour before settling into our room. When we finally made it up to our accommodations, situated in the newer tower, we opened the door to a cozy living room, decked out in white leather, with splashes of colorful accessories and a 37-inch flat-panel TV and a small dining area. On the other side of a compact kitchen that included a two-burner stove, microwave and full refrigerator, our bedroom offered a comfortable retreat, capturing a feel of the tropics with its white linens and splashes of sea green and blue. Our spa-like bathroom featured a jetted tub, a strong, soothing showerhead and movable shower hose. The benefit of the suite was that we were able to stock the refrigerator with breakfast items and bottles of bubbly, cheeses and snacks that we purchased at a nearby reasonably-priced market — all to be enjoyed from the privacy and comfort of our balcony, which overlooked the ocean. It’s always the little things that set a resort apart from the rest; while there were many, the complimentary bottled water that appeared in our refrigerator each day was a well-thought out amenity — a nod to San Juan’s hot, muggy weather. 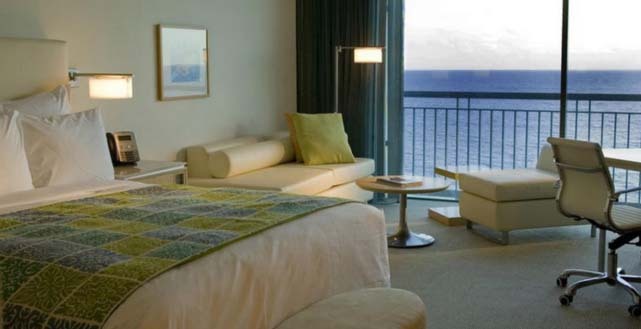 On our first night, after enjoying the delicately prepared concoctions at the Komakai Sushi Bar, we crawled between our plush linens and quickly fell asleep to the sounds of gentle ocean waves. 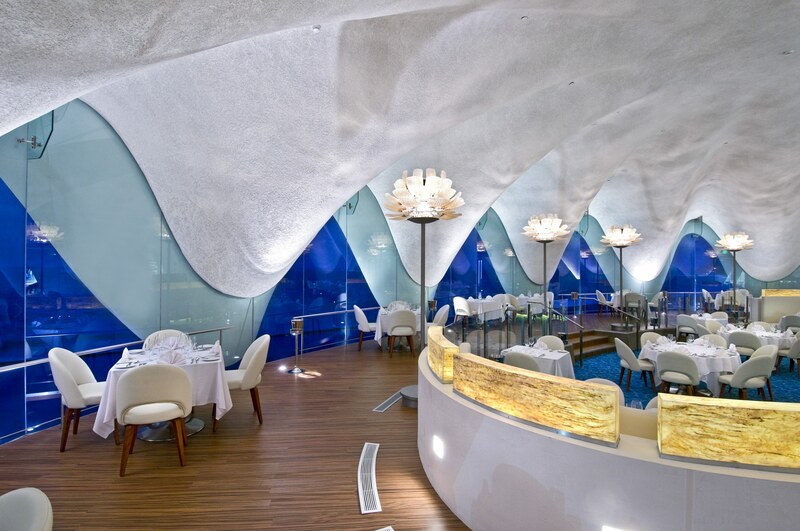 ♦ Perla, located in the property’s signature “floating seashell,” serves gourmet American cuisine and seafood specialties from Chef Dayn Smith and boasts an extensive wine list with over 4,000 bottles listed on an iPad. ♦ Solera, described as “a sophisticated” open-air poolside restaurant, has tapas and sangria. ♦ The Sidewalk Café is a casual dining option, featuring paninis and gelato. ♦ The Aroma bar serves up breakfast. ♦ New dining options — Sereno, an outdoor bar and grill and Delicias — offer Caribbean-style dishes in a tropical setting. After a long, hot day of sightseeing in Old San Juan we hit the resort’s adult infinity pool. With its breathtaking ocean views and tranquil atmosphere the setting was a perfect place to cool off and unwind with a piña colada. It was also where we lamented the shortness of our stay. If we had more than two days, my husband and I would have plunked ourselves down on one of the comfortable-looking chaise lounges at the resort’s beach for a day; followed by an evening at the Casino Del Mar with its 500 plus machines and 17 gaming tables. As avid bike riders, I am sure we would have taken advantage of La Concha’s complimentary bikes and map of its top bike routes to explore more of San Juan’s more remote areas. We were happy to get even a brief taste of what La Concha has to offer, for this all-inclusive establishment has enough to keep guests occupied for a week or more. But, our dear friends awaited us aboard ship. So, relaxed and pampered, we bid a sad adieu, promising each other that an extended La Concha stay is in our future. 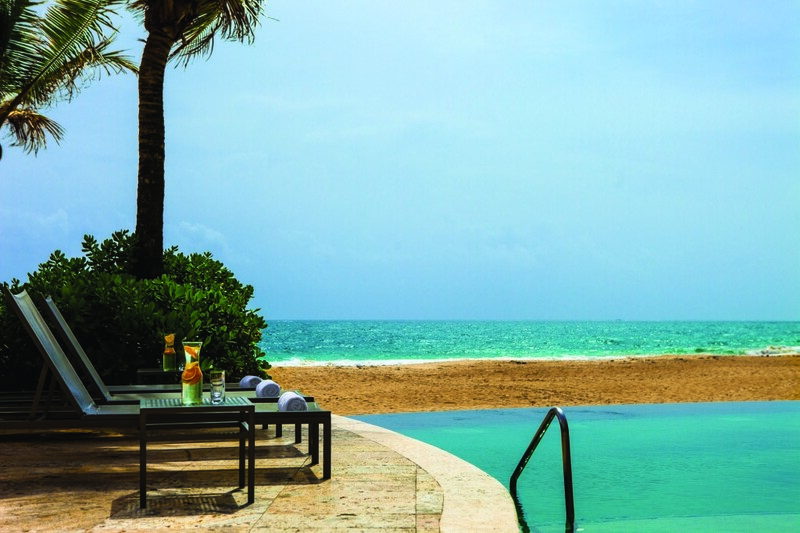 If a Fall trip is being considered, La Concha is offering the “Fab Fall” package that includes a choice of a complimentary wine bottle, Sangria pitcher or mojito pitcher; appetizers at Sereno Bar & Grill or Solera; and 20 percent discounts on tours from GSI and spa treatments at the nearby Condado Vanderbilt Hotel, which features Puerto Rico’s first hammam (a Turkish bath). For more information call 787-721-7500, visit www.LaConcharesort.com, or email info@La Concharesort.com.